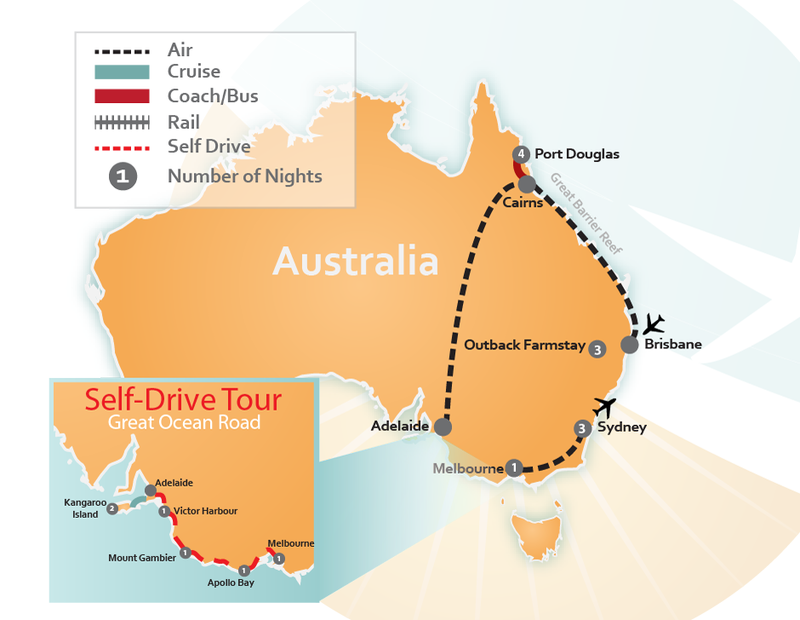 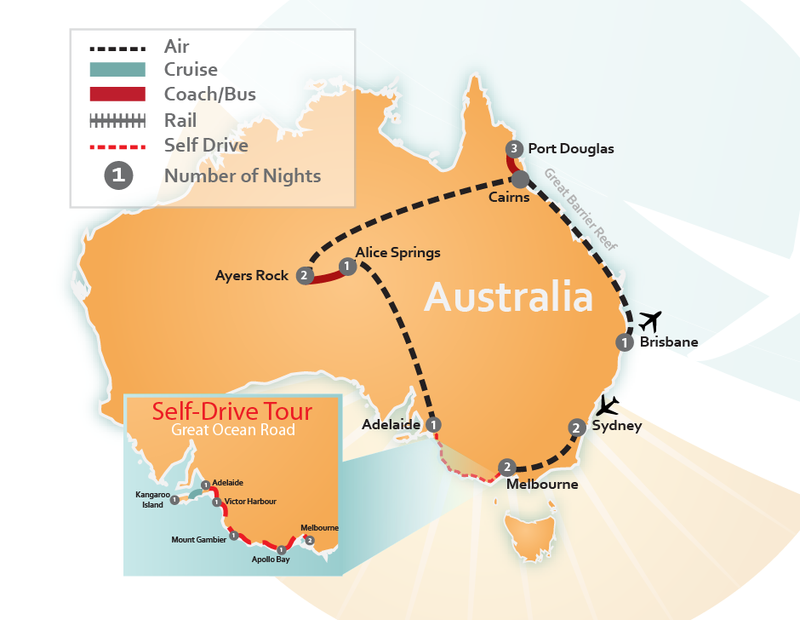 Fly Drive vacations are the perfect way to tour the highlights of Australia at your own pace in a limited amount of time. 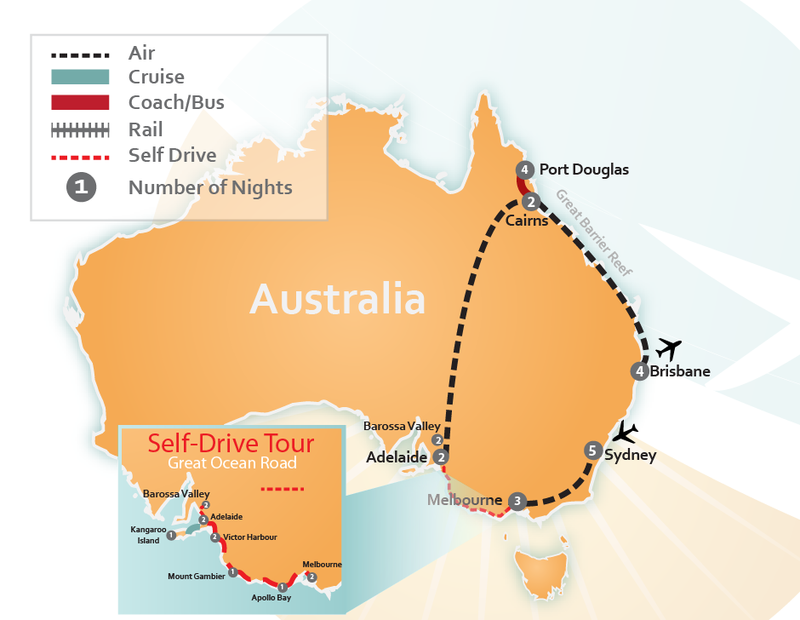 Fly from each major destination to another, then tour their local sightseeing attractions by driving a rental car. 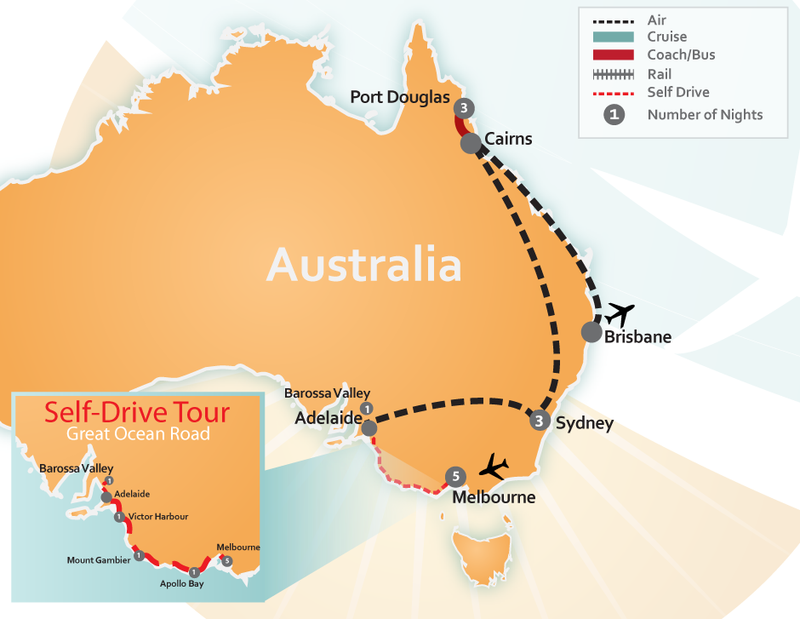 But first, make sure you up to the challenge of driving on the ‘left’ side of the road (opposite to the USA)? 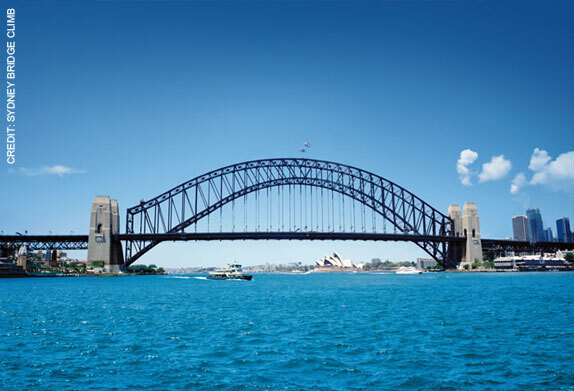 If you are, then great! 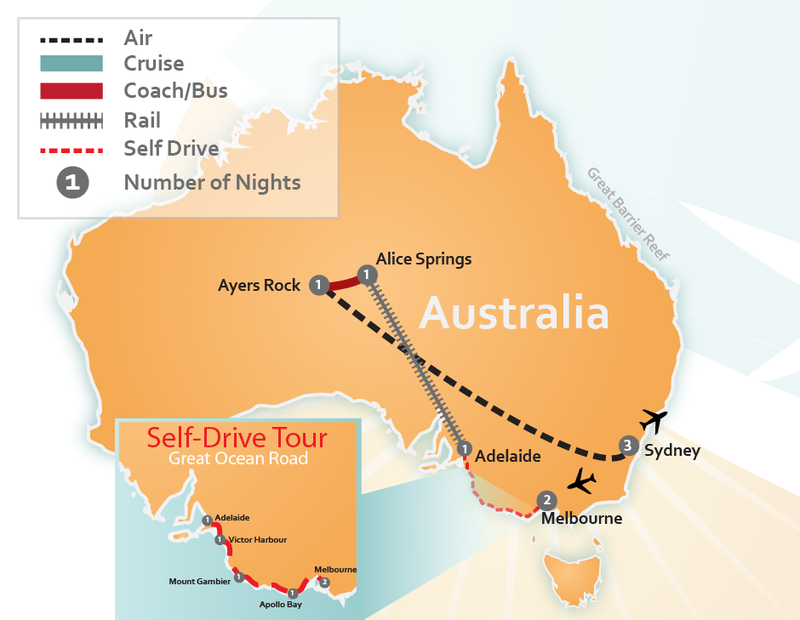 Then these fly drive Australia packages could be for you! 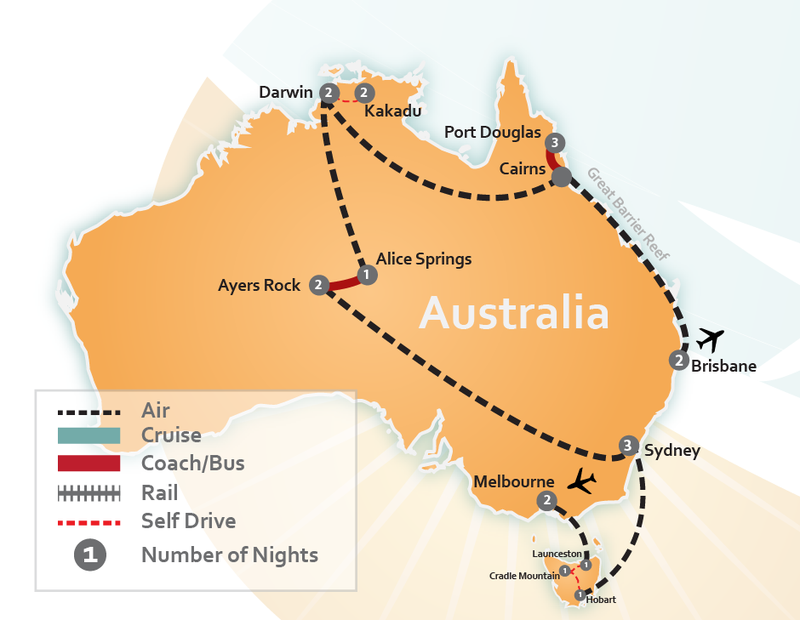 Some Australian destinations that are perfect for local road trips are along Victoria’s famous Great Ocean Road, Queensland’s Daintree Rainforest & Great Barrier Reef (up near Port Douglas & Cairns), Kakadu National Park in ‘The Outback’ and in South Australia’s Wine Country or touring Kangaroo Island, to list just a few! 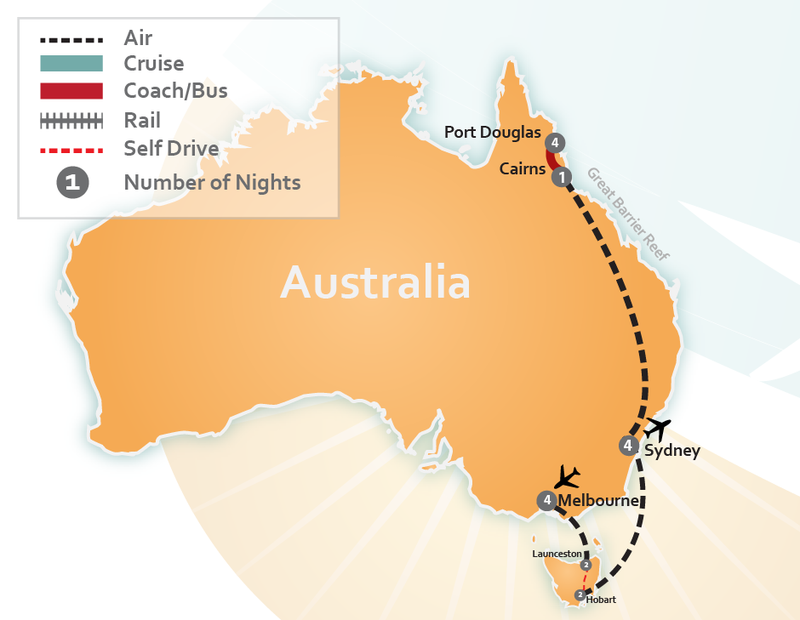 Or have one of our experts help you customize your own trip.